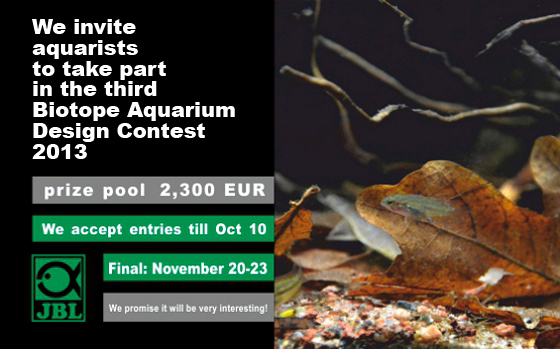 We invite all the aquarists to see the results of Biotope Aquarium Design Contest 2016! This year the Contest was held in a new form: online only. There was no finals in St. Petersburg. After members of the jury had evaluated the entries, we published the results of the Contest. There were also other very interesting new features! Nowadays the old good aquarium is no longer just a container for pets, already long ago it turned into a whole section of art, this was particularly noticeable last decade. Like any art, aquarium design - aquascaping - causes the most opposite and mixed reactions of the audience. For several years already a new biotope direction in the aquarium design is developing, biotope contests are held around the world. But what is the biotope, and is it correct to call aquaria biotope? New products from DENNERLE for planted aquaria. Aquarium is made ​​in special proportions, most successfully combined with different styles of aquascaping. 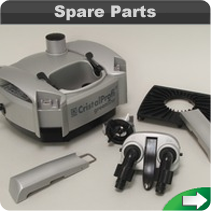 The kit includes everything you need to create a planted aquarium. All products are very stylish and easy to use. 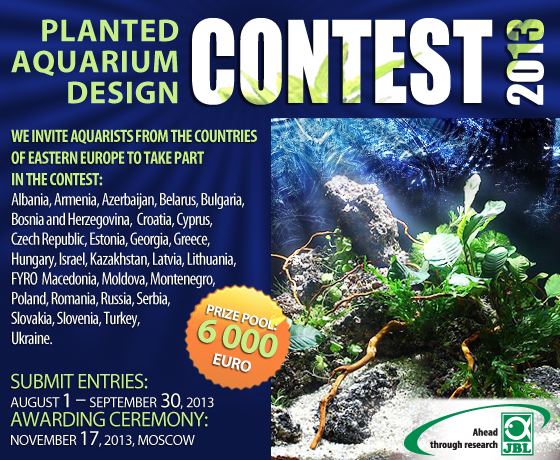 Setting up the contest aquarium "Change of seasons"
Silver prize winner of Planted Aquarium Design Contest of Eastern Europe 2013 Gregory Polishchuk from Ivano-Frankivsk, Ukraine, wrote a short report about setting up his contest aquarium. I would like to share with you a little story of setting up my contest aquarium "Change of seasons". 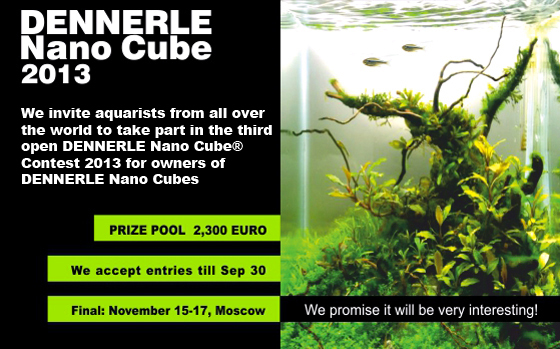 Read more about Setting up the contest aquarium "Change of seasons"
- I think what you have done in St. Petersburg was a very good and very well coordinated biotope contest, and I think by doing this you have helped the aquarium hobby tremendously. - I want to say to the aquarists of Russia that they should really do, if ever possible, biotope correct aquariums to have a small tiny piece of nature in their home, which they can be proud of. And whenever they do or want to acquire an aquarium and decorate it, they should always think fish.